Modern literary theory is increasingly looking to philosophy for its inspiration. After a wave of structural analysis, the growing influence of deconstruction and hermeneutic readings continues to bear witness to this. 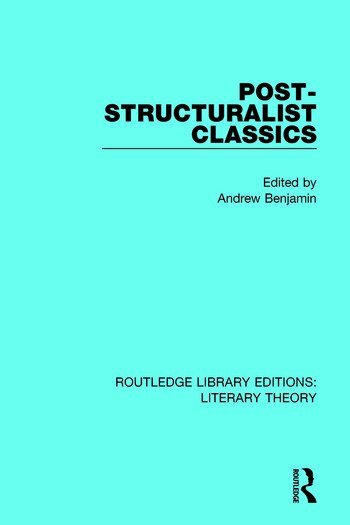 This exciting and important collection, first published in 1988, reveals the diversity of approaches that mark the post-structuralist endeavour, and provides a challenge to the conventional practice of classical studies and ancient philosophy. This book will be of interest to students of ancient philosophy, classical studies and literary theory.